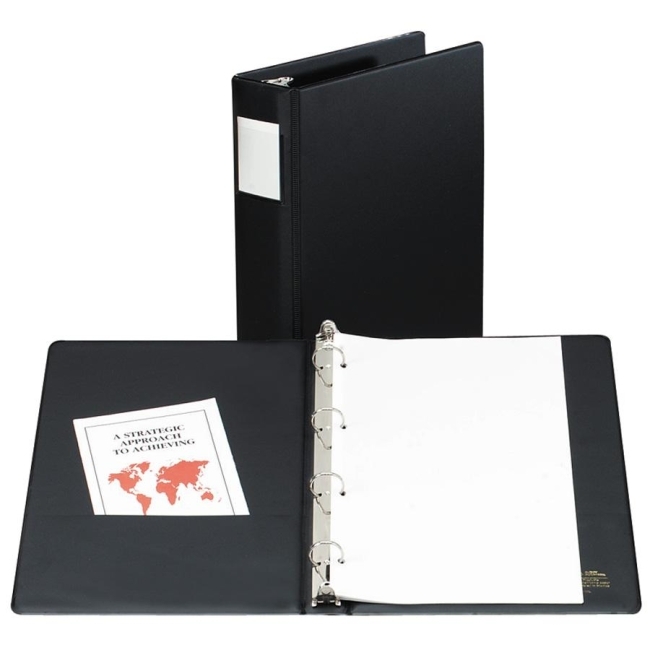 Round four-ring binder features reinforced hinges and heavyweight covers for optimal durability. Rings lock 8-1/2" x 11" sheet size to secure contents and keep rings aligned. Padded spine with label holder to identify contents.